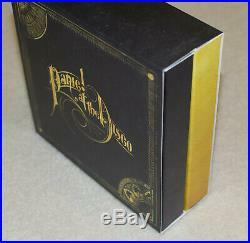 This is the limited edition, deluxe release of Panic! 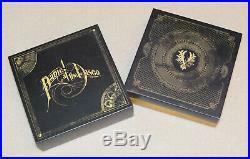 At The Disco's album Vices & Virtues, released in 2011. 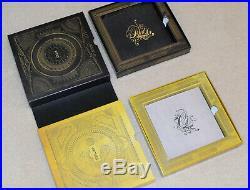 It is a box set consisting of two pull-out drawers, labeled Vices and Virtues. 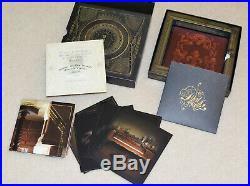 Vices drawer includes: special edition DVD, four photo cards, poster, certificate of authenticity. 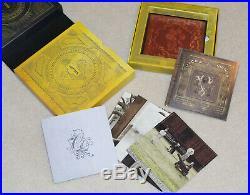 Virtues drawer includes: CD with bonus tracks, four photo cards, lyric book. This set is in excellent condition, the CD and DVD were never played, only the slightest shelf wear. A great collector's item for fans of the band! 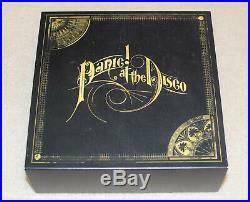 At The Disco Vices & Virtues Limited Deluxe Edition, Excellent Condition" is in sale since Saturday, March 23, 2019. This item is in the category "Music\CDs". The seller is "jem219798" and is located in Swedesboro, New Jersey. This item can be shipped to United States.